These cool looking laptop pods are little workspaces designed to bring together occupants of a 242 unit apartment development in Melbourne, Australia. 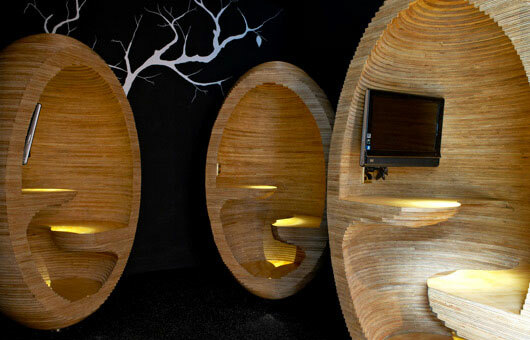 The pods are placed in a communal area to draw people out of their homes and encourage a sense of community.These cool looking laptop pods are little workspaces designed to bring together occupants of a 242 unit apartment development in Melbourne, Australia. The pods are placed in a communal area to draw people out of their homes and encourage a sense of community.